FORT LAUDERDALE, Fla. (January 29, 2017) – Berger Commercial Realty/CORFAC International recently welcomed Anita Panikulam, a certified public account, to the team. As financial controller, she will oversee the preparation of financial reports, handle budgeting processes and analyze data for the full service brokerage and property management firm. With more than ten years of experience in providing real estate accounting services, Panikulam joins Berger Commercial Realty from Rialto Capital Management, where she supervised the accounting team and managed finance activities in the real estate and asset management division of Lennar Homes. 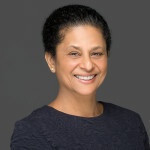 Additionally, Panikulam previously served as assistant controller at Duke Realty Corporation and offered financial advisement to executives and asset managers for the company’s development, leasing and management portfolio totaling 138 million square-feet of office and industrial space. Panikulam earned her Bachelor of Science degree in accounting from the University of Kansas. She resides in Fort Lauderdale.